Last month, I received a very nice email from a team over at LG. They were running digital marketing projects for their new 4k OLED series and in the research process, they found my starscape work. They complimented my photography and believed their TV was the best way for me to display my content due to it's detail and perfect black level OLED technology. They gave me a nice introduction to their TV and asked if they could send me a unit, test it out, and share my experience. I happily accepted their offer so here I am sharing my thoughts. What makes this TV so amazing to me? OLED has come a long way in these past few years and I believe LG might have just mastered it. As soon as I turned on the TV for the first time, I was visually stunned by the tones and clarity. Straight out of the box the picture was near perfect! What really impressed me most are the perfect blacks. This TV has the ability to completely turn off black pixels to achieve an unbeatable infinite contrast. I was also blown away by 4K content I was able to stream from my computer, YouTube, and Netflix. Details are sharp and the colors are vivid! Due to it's OLED technology, LG was able to really make this TV extremely slim. I couldn't believe how thin and light it was when I pulled it out of the box. The top half of the TV is only 1/8" thick! The Audio in this television is actually pretty decent. That was another element that surprised me was that I didn't have to blast it very loud to hear everything. Even has a few different speaker modes that you can switch depending on what you're watching. Another cool thing I like about this TV is the remote it comes with. 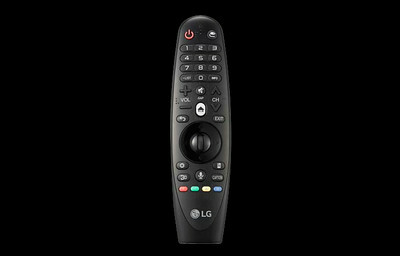 You can use it as a traditional remote or even a joy stick. It has a IR sensor on the front so you can point and select your options or even speak commands into it! It has it's own built-in voice control so you can search the web, change channels, inputs, etc. Pretty neat. The software alone is pretty remarkable as well. 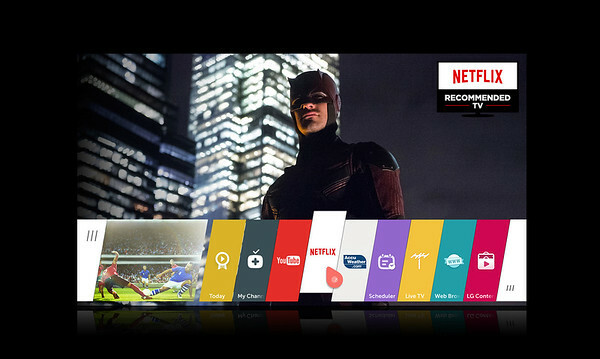 The TV is equipped with responsive apps such as: Web Browser, Netflix, Hulu, Youtube, etc. It also has WiFi and an Ethernet port which makes streaming media fast and easy. There are so many other awesome features packed inside this television. Things I will probably never use but overall, this TV has the best quality picture I have ever seen. 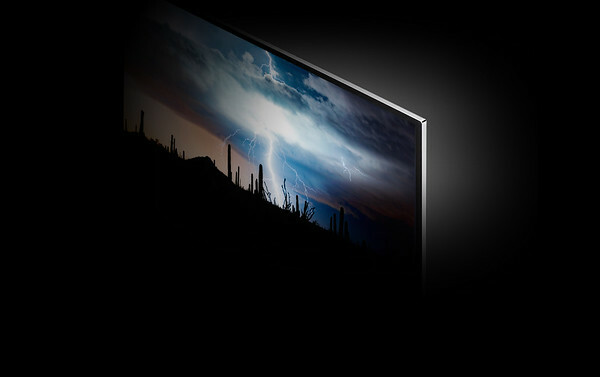 The OLED technology is pretty eye-catching with it's vivid color and infinite contrast. 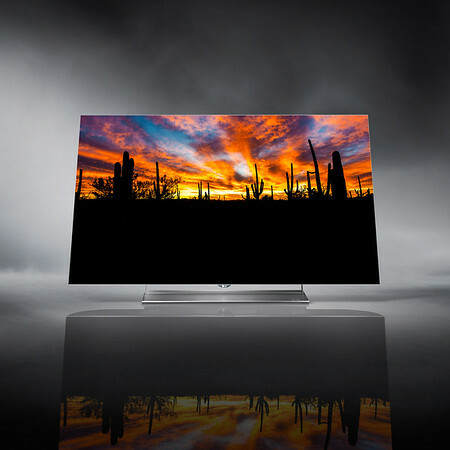 It will not let you down and is considered one of the best TV's on the market. Seeing my content and other media on this television has been a nothing less than positive! I really have nothing negative to say about it. In my line of work, sharp vivid images are a major role and this TV supplies those features. Thank you LG for giving me the opportunity to see my work in the best way possible. I highly recommend this television to anyone looking for the best visual experience. 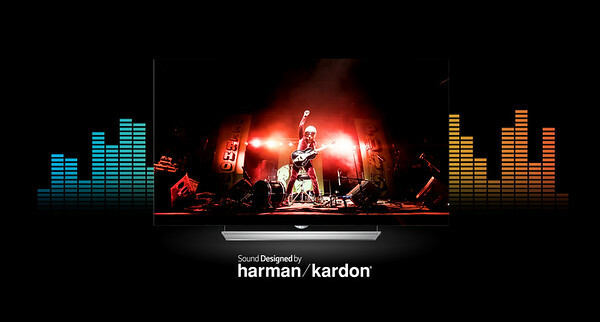 For more information regarding this television, please visit LG's website.